Increasingly cities, states and tourism destinations are banning the sale and use of plastic bags; Los Angeles banned the sale of plastic bottles, France after banning plastic bags in supermarkets is now also outlawing the use of reusable cups, plates, etc. Koh Tao the island famous for divers, Thailand, has recently organized free drinking water refill stations to reduce the use of plastic bottles. It is becoming a worldwide trend and many countries, cities, from Africa to Europe are taking measures. In Asia aside Bali, so far not much is being done, whereas Vietnam, Thailand, India and China are amongst the worst world plastic polluters! Plastic waste has become a real plague for soils, seas, rivers, marine life, and humans at the end of the food chain. Tourism is adding up significantly to the huge volume of plastic waste destinations have to deal with, in Cambodia, Laos or Myanmar there is no recycling facilities. Even in places where recycling is possible only a small share is actually recycled; It is estimated that only 14 % of all plastic bottles worldwide are recycled. In order to tackle this plague, EXO Travel under EXO Foundation guidance is progressively introducing refillable bottles along its tours. As a supporter of responsible tourism, EXO Travel is lobbying suppliers such as hotels, restaurants, tourist sites, and car companies to work towards reducing plastic waste even further in the future. The initiative was originally pioneered on biking tours last year and is now being rolled out in Cambodia with plans to soon implement in Vietnam, Laos and Thailand. And, since October 1st we are testing with regular travelers in Cambodia the provision of free refillable bottles to selected clients such as Diamir, Audley or Trailfinders who readily accepted to be part of the solution and we will soon extend to Vietnam, Laos & Thailand. Our guides are being trained and promoted Green Ambassadors and will be able to answer all questions from travelers as well as facilitate the refill. Whereas a logistic challenge in some destinations, such as Vietnam, where it is not always easy to convince hotels and restaurants to provide water stations where travelers can refill, we are confident this initiative which is an excellent move will soon be replicated by other tour companies committed to sustainability, thus convincing more outlet to join. When we are ready we will invite all our clients to join. Are you interested to join? FACTS on plastic bottles · 4 the average number of plastic bottles a traveler is drinking per day · 120 MILLION Plastic bottles: the estimated number of plastic bottles consumed by travelers in 2014 in Cambodia. · 14%: the number of plastic bottles recycled compared to plastic bottles consumed worldwide. · 100 to 1000 years: the time needed for a plastic bottle to degrade into small micro particles still polluting the food chain. · A German research on water plastic bottles over the world revealed that a plastic bottle especially when exposed to strong heat can release as many as 25,000 chemicals! Some being dangerous human carcinogen and hormone disruptors such as maleate and fumarates, or Bisphenol A. Please contact christine@exofoundation.org for more information. A tour for those wanting to experience, first hand, the age old traditions of hill tribes found around Kengtung, Pindaya and Inle Lake. Explore hillside villages and admire the spectacular views of the rolling hills as you make your way between destinations. Learn about the unique skills of village people and how they use local materials to create a livelihood. The post Tribes & Traditions of Myanmar appeared first on Cango Travel. The post Red Velvet Members Talk About Crying At Their Concert, ISAC, Dramas, And Books appeared first on Soompi. Friends International was in 2014 the winner of Wild Asia award as Wild Asia is celebrating its 10th anniversary by giving tribute to the awardees of the Best Responsible Initiatives, they chose to feature EXO Travel as the first ChidSafe certified company in Asia. Watch the VDO above. Vichra Chin Operation manager in Cambodia is a star now, as she was brave enough to agree being interviewed explaining what we do at EXO to contribute to child protection. The post Touring El Raval in Barcelona appeared first on Amateur Traveler Travel Podcast. The post Travel to New Caledonia – Episode 588 appeared first on Amateur Traveler Travel Podcast. MICE groups can often be seen as the antithesis to sustainable tourism due to its luxury positioning and high participant numbers. Here at EXO, however, we pride ourselves off creating MICE programs that are both beneficial and sustainable for clients and the community. Tourism is a great opportunity to act positively within societies and in destinations, communities, and the environment. At EXO, sustainability is embedded in all areas of our work, from staff and suppliers to clients and travellers. Our tailor-made MICE experiences develop unique activities and events that achieve client objectives, while simultaneously benefiting the destination country and its people in a meaningful, long lasting way; an unforgettable memory for all involved. EXO sustainability coordinators and the EXO Foundation, together with in-country MICE departments, work with the supply chain to offer the best choice of responsible services and CSR activities throughout MICE trips. The result: an itinerary that offers the greatest possible impact across society, culture, and the environment. Through the EXO Foundation, we have developed relationships with local charity and development organizations that work to change the livelihoods of thousands. We invite you to consider our sustainable options from an early stage: Accommodation outlets that are committed to improving their resource consumption and supporting local development. The best modern vehicles producing fewer emissions. A carbon offset scheme partnered with Nexus to fund projects using energy saving equipment for rural people, at the same time improving their livelihoods, working conditions, and economics. Using refillable bottles specially designed to avoid plastic waste. See last month’s article here. Purchase authentic gifts from fair trade shops, made by talented local craftsmen, and supporting projects that enable entire families to look forward to a better future. Share EXO Foundation’s “Tips for Responsible Travel” to clients and participants, introducing them to local customs and offering environmental tips. Engage in CSR activities or support endangered wildlife/environmental projects- life changing experiences for both Corporate Social Responsibility has several objectives: Demonstrate your commitment to social and environmental responsibility. Motivate staff to exchange, give, and learn about alternative options. 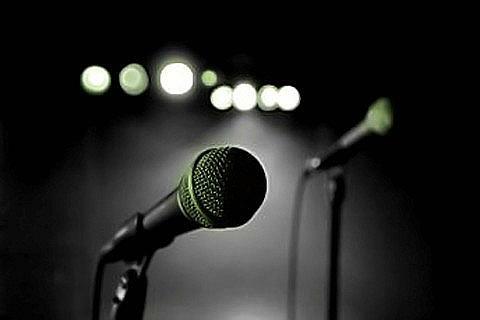 Share benefits by giving back to disadvantaged communities. Be unique. Handing out medicines to hospitals, clothes or gifts to children, playing with children at daycare centers, painting the wall of a local school or even building one are very common CSR activities. However, they are not necessarily as beneficial as one is led to believe. For example, Friends International, Save the Children, APLE and UNICEF denounce schools/orphanages/hospitals visits as detrimental to child development. Please read our key advice on what to give, what not to give, and a sample list of impactful CSR activities. The good news is that with EXO Foundation, we have established partnerships with local organizations to provide tailor-made CSR activities. Sometimes just having “good intentions” is not always enough; our ambition is to go beyond expectations and to ensure tourism supports long-term development, alleviates the burden of poverty, and lights up the lives of others. Together, let’s develop the new generation of MICE. The post North Vietnam Explorer – Ha Giang and The Far North appeared first on Cango Travel. The post Travel to Lombok, Indonesia – Episode 589 appeared first on Amateur Traveler Travel Podcast. Visit Kyauk Se in Mandalay and join the locals in celebrating 'Swun Daw Gyi Pwe' or the 'Food Offering Festival' at one of the city's most festive times during the year. Explore the former capital with a visit to its most revered pagodas, Shwenandaw Monastery and Mandalay Hill to enjoy magnificent views across the city. Festival trip dates, ex-Singapore, are from Oct 03-07, 2018. The post Festive Mandalay; Oct 03-07, 2018 appeared first on Cango Travel. The post TVXQ Makes History With Announcement Of Return To Nissan Stadium appeared first on Soompi. enjoy cruising on a hand-rowed sampan under the shadow of the water coconut trees along natural canals, then enjoy seasonal fruit honey tea to the sound of "Southern Vietnamese folk music", performed by locals. The post Zen Trip Tour appeared first on ChildSafe Movement. Mixing drives through the spectacular scenery of Caobang with visits to hill tribe markets, small villages, and historic sites, you will get a taste of the region's unique culture. This tour through Vietnam's northeast gives intrepid travelers an unparalleled opportunity to discover a hidden corner of the country. The post Northeast Vietnam Adventure appeared first on Cango Travel. According to the Korea Creative Content Agency, a concert will be held in Gwanghwamun Square in Seoul on November 1, ahead of the opening of the 2018 Winter Olympics. SNSD's YoonA, EXO's Suho, and ASTRO's Cha Eun Woo are the MCs for the '2017 MBC Gayo Daejejeon. The post 2017 MBC Gayo Daejejeon: Lineup appeared first on Kpopmap. EXO Myanmar’s annual staff retreat in Ngapali was a great opportunity to exercise in the field sustainability in action. Waste clean-up activities were organized by EXO staff involving local residents to raise awareness about plastic waste issues and provide some basic information on dealing with waste responsibly. In Ngapali, 25 EXO staff and 10 staff from Sandoway Resort participated collecting 10 large bags of waste in the process. A bit further, in Maung Shwe Lay village, a village where our Foundation supports a library project it is 70 EXO staff and 30 local community members who collected 8 large bags of waste. The majority of the waste collected was plastic and the activity helped to sensitize local people to the negative impacts of such accumulation and provided simple solutions to reduce this negative impact. Read traveler and professional reviews on Exo Travel. Compare with hundreds of other tour companies. Find your perfect trip. Save time, hassle & money. EXO Foundation and Sustainability Team wish you a super happy, safe and healthy New Year 2017. We achieved a lot in 2016, thanks to all of you!! 2017 is the year of sustainable tourism for development so let’s keep the pace all together. Thanks for following us and for allowing us making the world a cleaner, healthier, fairer place. The post What to do in Siem Reap? appeared first on Phocea Mekong Cruises. Adventure travel is considerably enlightened with a good interpretation of landscapes and biodiversity. The Pha Tad Ke Garden offers you a great opportunity to discover the richness and mysteries of Local Flora that will help you understand better the landscapes you’re hiking or biking through. The Pha Tad Ke garden (over 60,000 sqm) shows the Flora of Laos, a verdant oasis of gingers, orchids, ferns, bamboos, and palms clustered around the base of the stunning rocky Pha Tad Ke cliff looming over the Mekong River. The centrepiece of Pha Tad Ke is a series of ethno-botanic gardens. Focusing on the relationship between Lao people and their plants, these gardens showcase plants used in medicine, handicraft, spiritual ceremonies as well as medicinal plants for elephants. The potential of this collection, much of which is yet unstudied, is immense. Although the traditional knowledge of the ethnic minorities about the plants in rural Laos is extensive, it is passed down orally, making it vulnerable to the pressures of development and very much in need of conservation and further in-depth study. On May 21st & May 22nd on the international Day of Biodiversity the Garden organises an event with free entrance so you can start your discovery.See here for more information. If you miss this event you’ll have many other options to go there any time with a range of one hour workshops as described below. PTK Garden also offers special tours accompanied by a botanist. Medicinal Plants Since very early times, plants have helped humans in maintaining their health. Join this workshop for an insight on the traditional healing systems of the different ethnic groups, especially the practices of the Hmong. Learn about the many plants used in Laos to treat all kinds of illnesses and ailments. Traditional Lao Bouquet Making/Baci Lao people use flowers in many different ceremonies and they all have their own symbolic meanings. Learn more about this rich heritage and create a small bouquet with banana leaves and local flowers. Forest Foods Lao people rely on forest foods for a large part of their diet. On this enjoyable walk with one of our local experts you will learn about several fruits and herbs found at PTK. And who knows, you might even be lucky enough to have a taste ! The post TWICE Reigns With “Heart Shaker”; Soompi’s K-Pop Music Chart 2018, January Week 3 appeared first on Soompi. The post “The Voluntourist” – A Q&A With The Director appeared first on ChildSafe Movement. 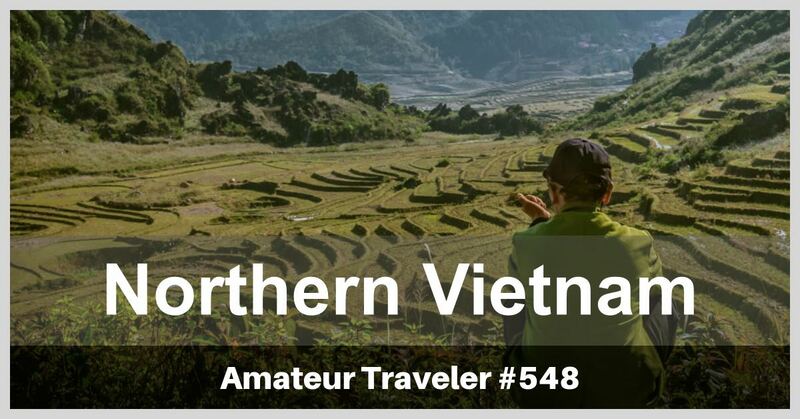 The post Amateur Traveler India Trip – Episode 590 appeared first on Amateur Traveler Travel Podcast. 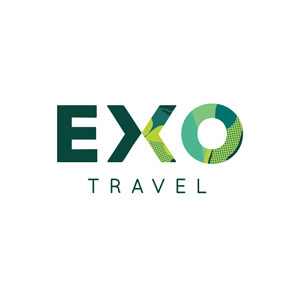 EXO Travel is an Asian-focused travel company operating with local teams across the continent – including Cambodia. The post Friends The Restaurant appeared first on ChildSafe Movement. The post Super Junior To Bring “Super Show 7” To Singapore appeared first on Soompi. The post inVOYAGE partners with 5-star hotel in Ras Al Khaimah appeared first on CMW. “Seeds of Culture: From Living Plants to Handicrafts” A very good reason to visit Luang Prabang aside its temples and stunning sceneries is the visit of the The Traditional Arts and Ethnology Centre. Moreover TAEC has recently opened a new unique exhibit entitled, “Seeds of Culture: From Living Plants to Handicrafts” that will last up to Fall 2018. This exhibit features the Job’s tears (Coix) plant, indigenous to mainland Southeast Asia, to demonstrate the important relationship between humans and nature. It is guest curated by Dr. Yukino Ochiai, a Japanese ethnobotanist at Ryukoku University, who has researched Job’s tears for over 15 years, amassing an unparalleled collection of objects featuring the plant’s seeds. The EXO Foundation is honoured to be a sponsor of this exhibition not to be missed and where visitors are treated to a stunning visual experience allowing them to explore the meaningful role of the environment in daily lives of rural ethnic communities. This exhibition draws on Dr. Ochiai’s field research in Laos, Thailand, and Myanmar to show that the wild and domesticated plants of Job’s tears are used as food, medicine, and beads by ethnic groups belonging to different linguistic categories. “By displaying the whole process from living plants, seeds and items in this exhibit, I hope to share an idea with TAEC visitors; how material culture is based on plant diversity and the environment,” Dr. Ochiai said. Also, with the addition of discovery corners, an extensive activity centre, and ethnobotanical garden, the museum is perfect for children and adults. Also currently on display at TAEC are permanent exhibits exploring the unique cultural aspects of four of Laos most well known ethnic minority groups: Akha, Hmong, Kmhmu and Tai Lue. It is also an ideal shopping place for amateurs of authentic crafts Made in Laos. The post KARD Brings A Suit Of Exciting Performances To Asia Tour appeared first on Soompi. The post Carpe Diem Travel appeared first on ChildSafe Movement. The post Where to Remember the Civil Rights Movement appeared first on Amateur Traveler Travel Podcast. MVP will be touring South America from March 5th to the 12th, where they will visit fans in 5 cities: Belo Horizonte, Rio de Janeiro, Recife, São Paulo, and Asunción (Paraguay). The post Dates for MVP Tour in South America 2018 appeared first on Kpopmap. Should you take China Spree to China? I am researching cruises and land tours to determine the best way to see China. There are drawbacks to each. On a land tour, you must pack and repack every few days. On a cruise, at times you have a long journey from port to a city. As an example, it is approximately 2.5 hrs from Tianjin … Continue reading Should you take China Spree to China? We are pleased to announce that EXO Travel and EXO Foundation have been awarded the PATA Gold Award in the CSR category, beating off stiff competition from 71 organizations and individuals in Asia Pacific. PATA’s Gold Awards recognize tourism industry organizations and individuals making outstanding contributions towards creating a responsible and sustainable tourism industry in the Asia-Pacific region. The prestigious award will be presented at the PATA Gold Awards Luncheon later this year in Jakarta, Indonesia. The Asia Pacific Travel Association (PATA) is internationally acclaimed for the responsible development of travel and tourism to, from and within the Asia Pacific region. By winning the CSR category, EXO Travel and its non-profit affiliate, EXO Foundation, have been effectively globally endorsed from thousands of travel professionals who believe their work and support is contributing positively to responsible tourism. On receiving the news Olivier Colomes, CEO of EXO Travel, said: “This PATA Gold Award is one of the most important achievements for EXO Travel. 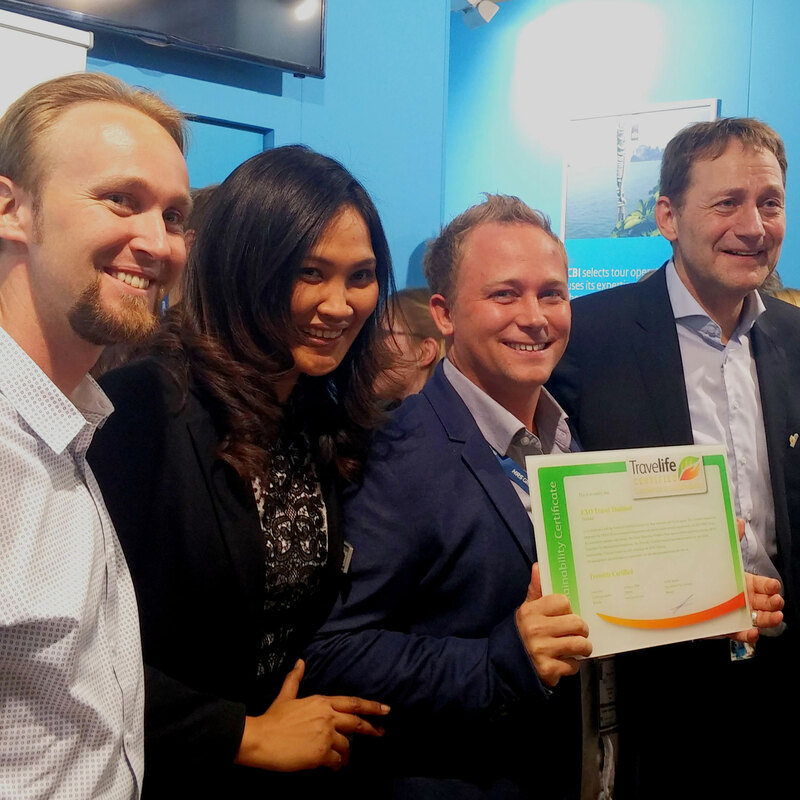 After receiving the Travelife and ChildSafe certifications, it is a major step that reflects and rewards the hard work of all EXO people’s commitment to CSR. We are very honoured and proud to receive this Gold Award from PATA. 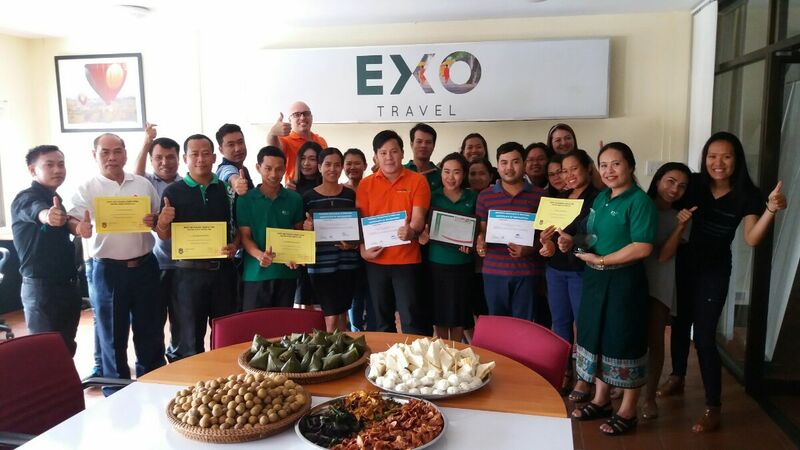 It encourages us to aim for higher standards in sustainability and better responsible tourism practices.” Christine Jacquemin, Director of EXO Foundation and Sustainability Coordinator for the group, said: “This is a major step of the EXO journey to improve sustainability in Southeast Asia. I would like to extend my congratulations to the Regional Sustainability Team and to EXO Travel staff for joining this journey. It’s been a steady 4 years of questioning, reflection, change of procedures and mind sets. The PATA Gold Award marks a major milestone of our journey. Our ambition is now to encourage our suppliers, clients and travelers to join us on that path, and promote tourism as a catalyst for positive change, so we can altogether make destinations better places for people to live in and for travelers to visit.” EXO’s Commitment to a Sustainable Tourism Industry This award further cements EXO Travel’s and EXO Foundation’s positions as leaders in corporate social responsibility, within the global tour industry. Together, they continue to uphold their vision of a system of travel that maximizes the benefits of local communities and the preservation of their cultural and natural heritage. Their joint-mission aims to improve the livelihoods of the most disadvantaged populations, while minimizing the negative social, cultural and environmental impacts tourism may generate. This recent award underlines EXO’s commitment to a sustainable tourism industry following on from the Travelife and ChildSafe accreditations. This year: Pacific Asia Travel Association (PATA) Founded in 1951, the Pacific Asia Travel Association (PATA) is a not-for profit association that is internationally acclaimed for acting as a catalyst for the responsible development of travel and tourism to, from and within the Asia Pacific region. The Association provides aligned advocacy, insightful research and innovative events to its member organisations, comprising 97 government, state and city tourism bodies, 27 international airlines, airports and cruise lines, 63 educational institutions, and hundreds of travel industry companies in Asia Pacific and beyond. This 5-day Baliem Valley Explorer trip offers a glimpse into the indigenous cultures and spectacular nature of one of Indonesia’s most fascinating islands. Spend 3 nights in the lush Baliem Valley where you will take excursions to various Dani villages to witness ancient methods of salt production, see a 280-year-old mummy and partake in a traditional pig festival. The post Baliem Valley Explorer appeared first on Cango Travel. The post Flores & Komodo: Rinca Trails & Kelimutu Lakes appeared first on Cango Travel. The post Watch: EXO’s Suho Recruits Employees In Teaser For New Drama appeared first on Soompi. The post Travel to Rwanda – Episode 591 appeared first on Amateur Traveler Travel Podcast. 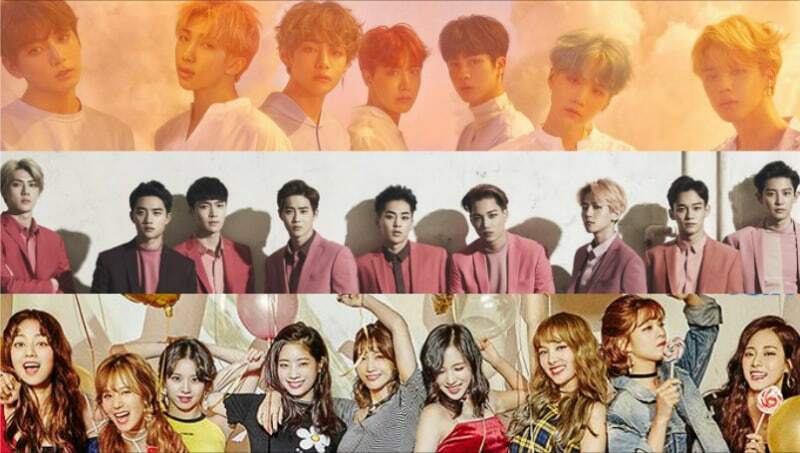 Apink, EXO, SHINee and more artists will be performing for 'Music Bank' in Hanoi on March. EXO Travel Group is privately owned and operated by its founders, Olivier Colomes and Hamish Keith, along with the Apple Tree Group. Our head office in Bangkok provides strategic management and operational direction along with a broad range of support functions. Various K-Pop artists such as EXO, BTS, VIXX, JBJ, Wanna One, WINNER, MXM, and BLACKPINK are reported to be attending in the 27th Seoul Music Awards. The post The 27th Seoul Music Awards: Lineup appeared first on Kpopmap. The post The Secret Lives of Uber Drivers – Why People Drive for Uber appeared first on Amateur Traveler Travel Podcast. The post Northwest Vietnam Adventure appeared first on Cango Travel. KBS 2TV's 'Music Bank' will be heading to Chile as the destination for this year's world tour. The post Confirmed Lineup For ‘Music Bank In Chile’ appeared first on Kpopmap.